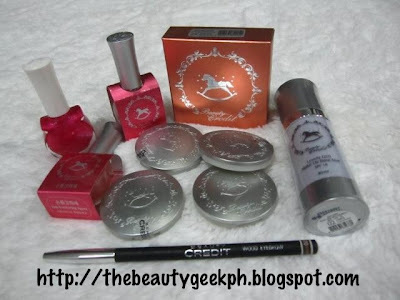 Beauty Credit (since 2004) is a popular Korean cosmetics and skin care brand that houses over 180 outlets around the world. To make you more familiar with the brand, it is being endorsed by Koo Hye Sun - the lead of the Korean Hit Series "Boys Over Flowers". The brand is now locally available on select Watson's branches. Luckily, for those who reside in Subic (Zambales) there is one Beauty Credit/Somang store that may be found around the Freeport Zone. By the way, the store sells cheaper than the Beauty Credit Kiosks at Watsons! I make it a point to visit the store every time I am on a vacation there. Sadly, the store is closing down - hence the great sale. The owners are still unsure if they are going to open up a new branch elsewhere (I hope they still do!). 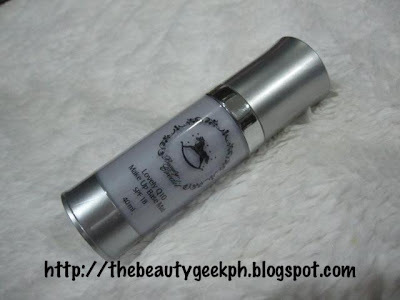 I originally wanted the Lovely Q10 Makeup Fitting Gel that works like a primer. But since it was a closing sale, they didn't have it any longer. It would be such a steal if I was able to buy it (Fitting Gel) for P200. But this makeup base looks as promising so I can't wait to try it out! Lovely Tangtang Skin Cover (Natural Beige/23) bought for P200. Originally P400. Don't you just love the packaging? It's a cute rocking horse that is a bit similar to the brand Skinfood. It reminds me of the brand Paul & Joe sometimes just because of it's embossed designs. Really classy! 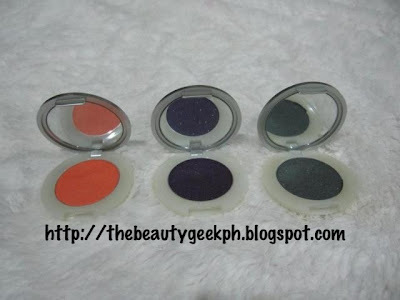 Lovely Eye Color (Eyeshadow pots) bought 4 for 100. Originally 200 each. I should have seen these before the gift giving of Christmas started! Although the colors are limited, it was still such a steal to buy these for P25 each! Just the perfect gift for the season if your on a thrifty mode like me. 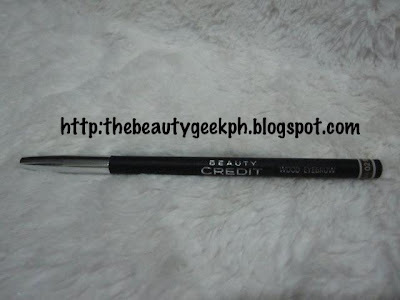 Wood Eyebrow (Pencil 02) bought for P50. Originally P100. This is similar to my Etude House Drawing Eyebrow Pencil in 02. 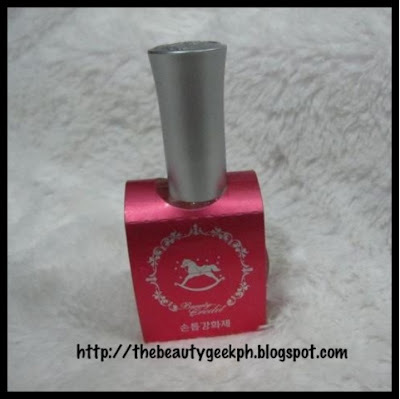 This will be a perfect alternative when I finish up the one from Etude because it's always out of stock. Nail Reinforcing Agent bought for P20. Originally P150! I bought an extra for this one as I will be including it on my future giveaway. Hehe. Another great product because Nail Reinforcing Agents from other brands like Sally Hansen are more expensive. And for P20 --- it's like buying something from Divisoria but with better quality! 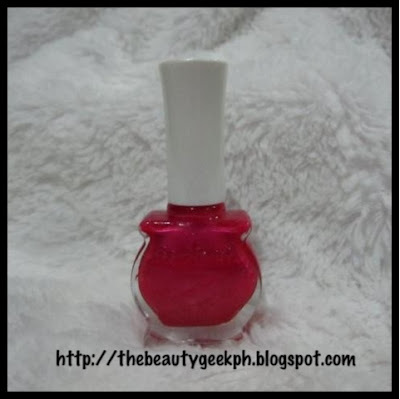 Nail Polish bought for only P20. Originally P100! To sum it all up, I spent P610 on all the products I bought. Roughly around $14.00! But all the products I bought originally costs P2100! That's around $50.00! I saved up P1490/ $35.00! That is more than 50%! I am one happy kid! It is sad though that the brand is not as famous as other Korean brands here in the Philippines. I think its because they don't have their own store. 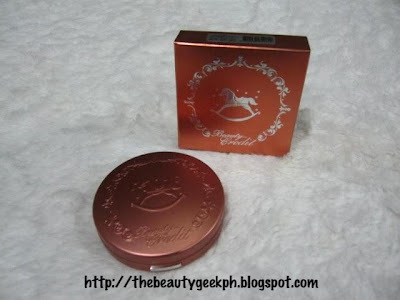 But the products they have is just as promising as the top Korean Brands in the market so it is definitely worth a try! I'll check this out sana meron sa watsons megamall.. thank you for sharing! I was at Subic few weeks ago kaso di ko tinignan yung Beauty Credit store. Kasi masyadong nakatago no? Di kita yung loob.